Everyone knows someone who needs this book. Perhaps it’s that person who’s always talking about what he’ll do once he wins the lottery. Maybe it’s the woman who’s just waiting for Prince Charming to show up and whisk her away. Or maybe it’s the guy who changes employers more often than the weather in the quest for the “perfect job.” All of these individuals suffer from a virus called fairy-tale thinking, the philosophical belief that something wonderful will happen someday simply because one is good or believes. The Three Deceptions – Three lies that prevent you from experiencing any chance of success. Learn to recognize these deceptions and replace them with healthy beliefs about yourself and your world. The Seven Powers – Seven incredible resources that can be used to create tremendous success in your life. Stop waiting for someone to create your success for you and start accessing these incredible tools for amazing achievement. The Five Deadly Enemies – Five subtle and cunning enemies that work tirelessly for your ruin. These foes are constantly at work within your life to destroy you. Unmask these traitors and defend yourself against their treachery Written by a former fairy-tale thinker, Shattering the Glass Slipper passionately argues for the reader’s release from a seemingly innocuous, yet tyrannical philosophy. Through the use of imagery and allegory, it empowers the reader with a pragmatic, alternative perspective while doing so with all the charm, simplicity, and attraction of a fairy tale. Shattering the Glass Slipper is undoubtedly destined to be a motivational classic. 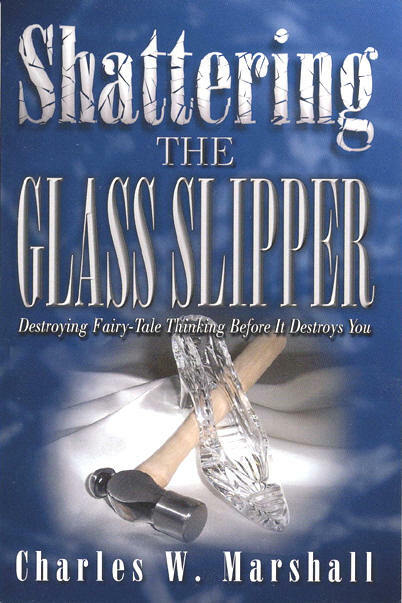 Be the first to review “Shattering the Glass Slipper” Click here to cancel reply.